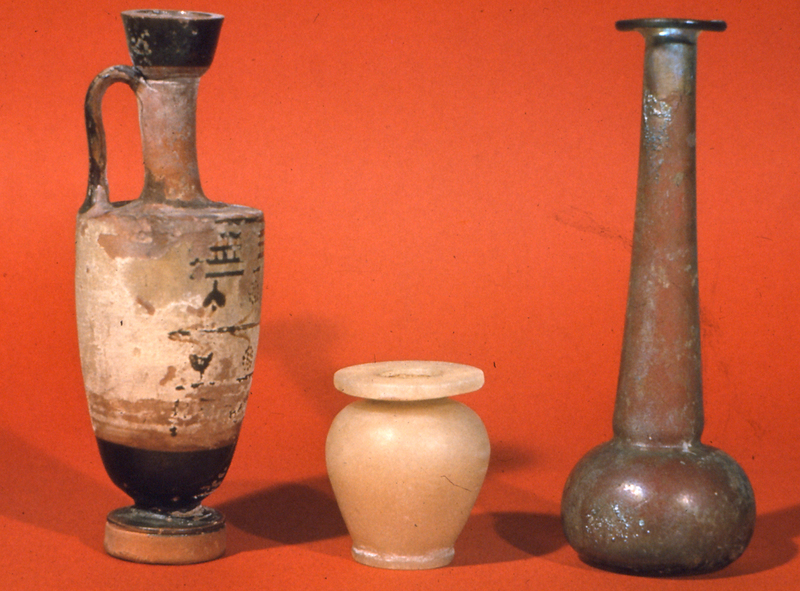 Summary: The development of drug containers from ancient to modern times. Abstract: From earliest times, those who prepare and sell drugs have faced the problem of preserving and storing medicines without loss of healing power. The introduction of “remedies” must have resulted from primitive man’s instincts for survival; and the introduction of containers to hold these medicaments must be nearly as old. Earliest recorded history tells of trade in drugs. For example, by 2,000 B.C. an important traffic in drugs and spices flowed between Babylonia and Egypt. Dealers in drugs had their stalls together on a separate street in Sippara on the Euphrates about the time of the Babylonian King Hammurabi, and, at the same time, drug vendors sold their wares in the streets of Thebes and other ancient Egyptian cities along the Nile. Today technologic progress has banished the artistic apothecary jar from the pharmacy, except as a collector’s item. Yet, they are not merely antiques or art museum pieces; they are truly meaningful symbols of the past. Each jar with its characteristic shape and decoration and curious label has its own significance and each makes its own appeal. The history of the apothecary jar tells of both the history of drug therapy and of the development of the art of ceramics and glass. This has been part of such a story. All drug jars pictured are on exhibit at the Smithsonian Institution except slides 5, 18, and 19.